Four reasons why people are outraged. The $3.78 billion project is being built by Dakota Access, LLC, a unit of the Texas-based Energy Transfer Partners. (Former Texas Gov. Rick Perry, a friend of Iowa Gov. Terry Branstad, sits on ETP’s board.) According to the firm, the Bakken Pipeline will transport up to 570,000 barrels of crude oil per day. Advocates have celebrated the supposed 12,000 jobs the pipeline will create in construction, while repeating calls to end American dependence on foreign oil—a platform called into question by new laws allowing US producers to export crude. The US Army Corps of Engineers gave its blessing at the end of July, clearing the final hurdle for the massive infrastructure project, which is slated to be operational by the fourth quarter of 2016. Spill, baby, spill: As Sierra Club’s Michael Brune puts it, “It’s not a question if a pipeline will malfunction, but rather a question of when.” And, though they spill less often than trains do, the International Energy Agency found that pipelines spill much more in terms of volume—three times as much between 2004 and 2012. The Bakken Pipeline’s route takes it through active farmland, forests, and across the heartland’s major rivers: The Big Sioux, the Missouri, and the Mississippi, some with multiple crossings, though the US Fish and Wildlife Service claims that no “critical habitat” is endangered. It also runs through sacred Native American lands (more on this below). Enbridge Inc., a stakeholder in the Bakken pipeline, has a speckled track record on spills. In 2010, an Enbridge pipeline spilled 1.2 million gallons of crude into the Kalamazoo River, one of the worst inland spills in American history. Because the pipeline qualifies as a utility (despite being privately owned and for-profit), the Army Corps of Engineers was able to certify it without performing an environmental impact statement, as all utilities projects qualify as “minimal impact.” These projects are subject to environmental assessments every five years. 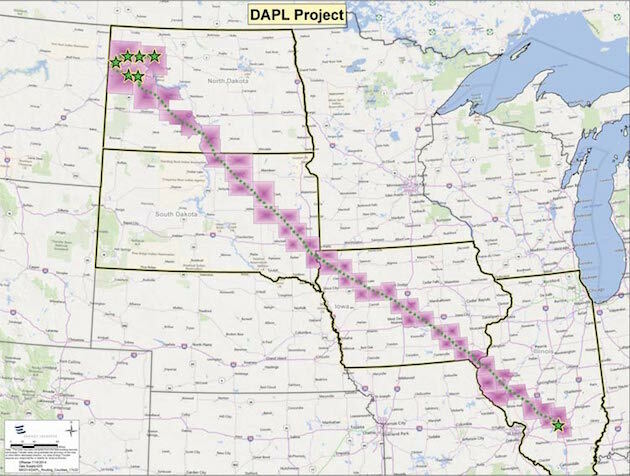 DisRezpect: The pipeline will cross through sacred lands and pass under the Missouri River twice. For the Standing Rock Sioux, the Missouri provides drinking water and irrigation, while its riverbanks grow innumerable plants of cultural import, including sage and buffalo berries. The tribe launched a campaign called “Rezpect Our Water” and staged a 500-mile relay race in protest, hoping to sway the Army Corps of Engineers in the permitting process. Last weekend, a group of 30 Native youth completed a three-week run from North Dakota to Washington, DC, where they delivered a petition of 160,000 signatures opposing the pipeline’s construction. Now, even though the Corps has given the go-ahead, the tribe has not given up the fight. They recently filed suit against the Corps in federal court. The suit seeks an injunction, asserting that the pipeline will “damage and destroy sites of great historic, religious, and cultural significance,” a violation of the National Historic Preservation Act. 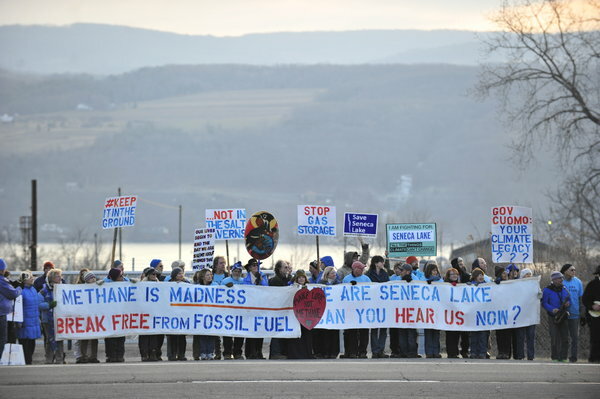 Though the pipeline seems to be a done deal, resistance of all types continues. Last week, the Des Moines Register reported that authorities are investigating suspected arson against the ETP’s heavy machinery. The fires, three separate incidents across two Iowa counties, resulted in nearly $1 million in damage to bulldozers and backhoes. The acts appeared to be intentional incidents of monkeywrenching. On Thursday, a group of protesters, including the Standing Rock Sioux and their allies, gathered in North Dakota to oppose the pipeline, blocking the construction site. 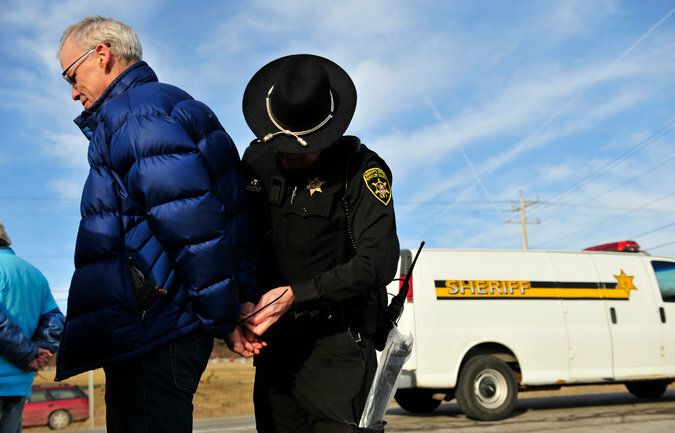 The police ultimately broke up the demonstration, resulting in at least five arrests.